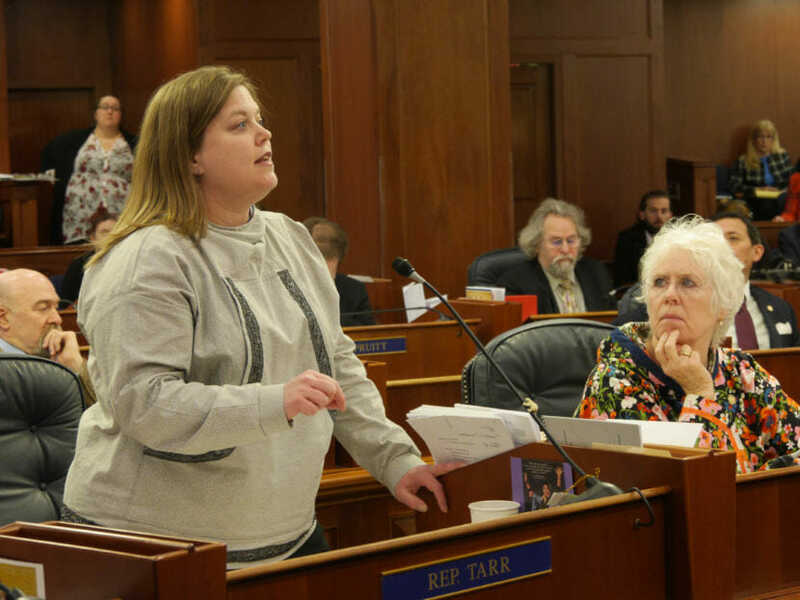 Four days after passing a full Alaska Permanent Fund dividend of roughly $2,700, the House today voted to take back the action, and passed a $1,600 PFD instead. The House had been stalled since Monday, when the majority split over the size of the PFD. Six members of the majority today reversed their position. Dillingham Democratic House Speaker Bryce Edgmon was one of those members. He said there weren’t enough votes in either the House or the Senate to pass the state budget with the full dividend amount under a formula set by state law. And he said the lower amount is still higher than last year’s. “It became pretty clear to me that if I had the opportunity to get my constituents a $500 increase in the dividend — from last year’s $1,100 dividend to $1,600 this year — that that’s where my vote was going to go,” Edgmon said. Edgmon said there are enough votes in the House majority to pass the budget. If no minority caucus members vote for the budget, all but one member of the 22-member majority must vote for it to pass the 40-member House. That vote could come as soon as Monday. The PFD reversal drew criticism from those members of the House minority caucus who supported the full dividend. North Pole Republican Rep. Tammie Wilson opposed the reversal and the vote to set the PFD at $1,600. Anchorage Democratic Rep. Geran Tarr had been in favor of the full PFD. But she ultimately voted for setting it at $1,600. She said lower-income Alaskans rely on the PFD to pay for basic necessities. Last year, the House majority proposed higher taxes on oil and gas companies and reinstating an income tax. The Senate majority opposes those tax changes. The budget amendment the House passed today also set how much the House would draw from permanent fund earnings to pay for the budget. The dividend draw would be $2.7 billion, which is slightly less than 5.25 percent of the fund’s market value.